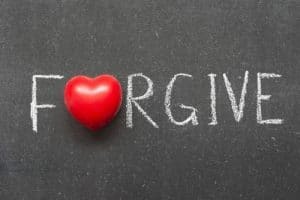 Home Psychic Reading Love Forgiving Your Soul Mate, Do You Do It Too Much? Forgiving your soul mate isn’t always easy. Contrary to popular belief, soulmates can do some pretty hurtful things to one another. It would be wonderful to think soul mates are perfect couples who never fight and are destined to be together but that unfortunately is just a myth. Twin flame relationships are much easier relationships than soul mate relationships are, so you may be confusing the two. Since soul mates have lessons and growing to do, with that often comes pain. Soul mates often test the connection they share, to see how much they can get away with. When you are always the one forgiving your soul mate and your soul mate is the one always screwing up, it may be time to take a harder stance. Of course you don’t want to let your soul mate go. But do you want to keep them around while they keep destroying what you are trying so hard to build? Sometimes soul mates meet at what seems to be the wrong time. For whatever reason, they may have to separate in order to come back stronger. Resisting that separation can prolong the inevitable and do a lot of damage to the relationship. Just because you let a soul mate go does not mean you have to let them go forever. Taking a break to calm things down or to change bad behavior can have very positive results in the end. You do not have to be your soul mates teacher, learn their lessons for them, and excuse and be forgiving of every mistake they make along the way. It is not your job to learn their lessons, it is theirs. Leave those to them. When your soul mate is asking for forgiveness and they really mean it, their actions going forward will support it. They won’t just tell you they are sorry, they will show you they are sorry. That will make you feel as though forgiving them was the right thing to do. It is when you have to keep forgiving them over and over again because they say they are sorry, but they really aren’t. It is hurtful to think that they won’t change for you, that they don’t love you enough to change. You don’t want to think that they hurt you on purpose, but what else can you think? You told them over and over again how upset you get when they do or say something, and you showed them your pain. They said they were sorry, and you wound up forgiving them. But then they hurt you even worse by doing it again. Now you feel stupid for forgiving them. Maybe it is time to change tactics. Maybe you should not forgive them as easily. Maybe next time might be the time to not give them your forgiveness when they screw up again. It might be in your best interest to make them earn it this time, instead of giving in so easily. Maybe it is time your actions back up your words. Pingback: Do Soulmates Always Forgive and Forget?